Rouen Normandy Tourism and Convention Office offers different themed tours suited to your programmes and the age of the students or children in your charge (day camp, summer camp, etc.) Over a period of one to two hours, these school visits will allow you to take a direct approach to the history of the city, its people and its architecture, and the Seine Valley in general. 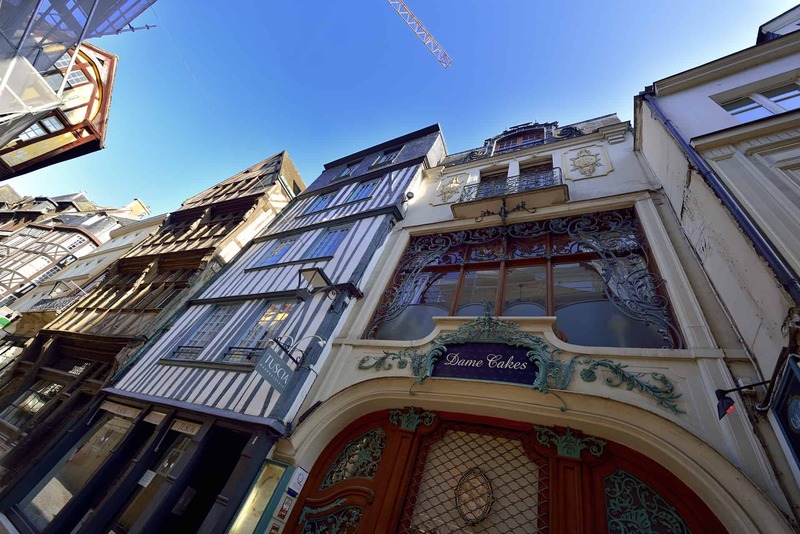 Discover the attractions of the city of Rouen, its museums, the Panorama XXL, the Joan of Arc History Museum, the Cathedral, or famous people like Joan of Arc, Corneille and Flaubert. Our tour guides take you to the capital of Normandy and will tell you its history in several languages, according to the visits: French, English, German, Spanish, Italian, Portuguese, Chinese, Japanese and Dutch. These tours can be complemented by educational and fun workshops for children and students. You will also have a choice of unusual tours such as tourist challenges. Using printed booklets, you must solve puzzles, observe monuments, and rediscover the neighbourhoods and personalities that enrich the capital of Normandy. For fares and to book a tour, please contact our sales department on 02 32 08 36 54, 02 32 08 32 46 or 02 32 08 32 48.